This is my brain on 4 shots, a coke, and a new job. I'm working on another project for the state of Michigan (Using ArcMap/ArcScene) for a few days to a few weeks, with down-time in between. In the meantime, I'm trying to decide how I feel about that bridge crosser for the great chasm room terrain in the Karst Caverns set I'm building. This is all about walkmeshes and how much I really hate them. This week I spent some time fixing the textures in the corridors. While testing, I accidentally stumbled across this cool side view that looks through the corridor wall. This was made at the edge of the map region, so there is no other rooms in front of the corridor. I was thinking I could make a cool side scrolling adventure just using a huge assortment of corridor tiles. Kinda blew my own mind on accident. The last week I've been able to put some time into model building, and so I decided to first work on my multiple-height mountains, and then I transitioned directly back to the underdark set I was working on last year. Let's ignore that I've made any changes yet to the Granitelands set, because I want to put some more touches on it. 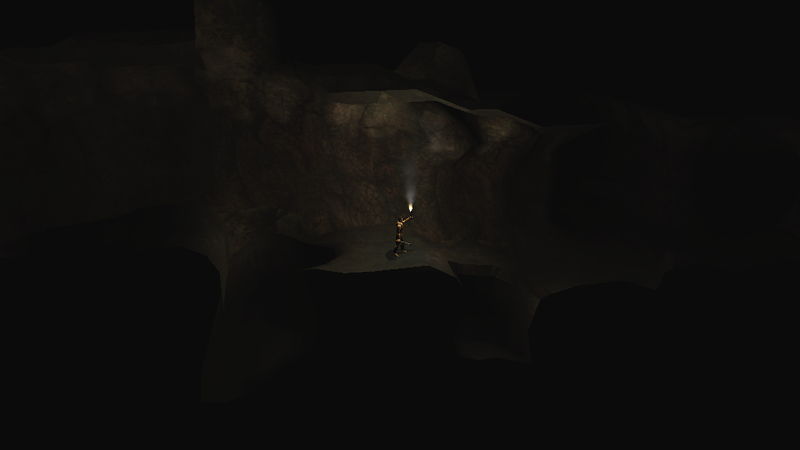 For now, I'd like to list some progress on the caverns. Last week showed me where I was going wrong. Not too wrong, but still outside the realistic workload for the NWN engine. I had found that a single tile can only have approximately (or exactly) 10000 faces in the total mesh content attached to that aurorabase. That may seem like a large number, but just one of my higher poly rock sections was 9467 faces, and the single cave column I showed last week was over 12000 when fully assembled. After considering some setbacks, it may be in my best interest to not use the automatic wall and roof builder I made. While it looks good, I seem to have failed to to account for what the area around walkable pathways would look like, and converting my math and fitting it to already constructed walkmeshes is not being pleasant. After examining the diablo 3 tilegroups, I realized that many of them might not work with my layout as 4x4 tiles, but would have to function as 8x8. But I don't want groups that large. That's an entire map and the scale would be off.